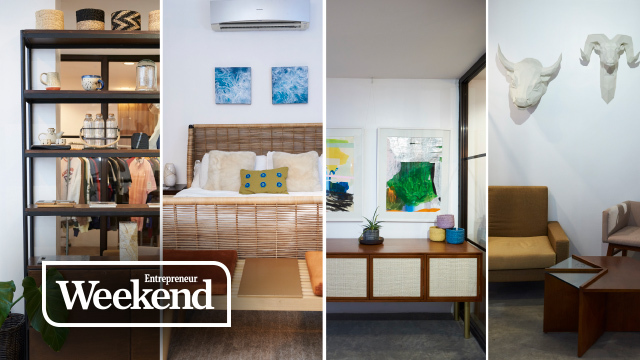 A stone’s throw away from the malls of Makati, and nestled among the pockets of establishments along Arnaiz Avenue, is a bespoke furniture show room called Artesania. It’s easy to spot the place: just look for two pillars in a rich amber-copper color, which stands out from the rest of the building in unremarkable grey. Up a flight of stairs is a space in bright white, with numerous bits and pieces scattered around a massive live wood table that takes up a fair bit of space in the middle of the showroom. Immediately the creeping question of “What am I here to buy?” jitters up one’s back. There’s also the aroma of local coffee beans grinding in a hopper, from the café component of the space called Caffeined. It certainly helps reinvigorate the senses almost as much as all the items in the showroom has one mentally redecorating his or her living room. Artesania is owned by four siblings who acquired Mozaic Living, another furniture store in Mandaluyong, six years ago. The family eventually decided to pack up and set up shop in Makati in hopes of finding better foot traffic with more ample parking space. “You treat it like a museum when you’re in a furniture shop,” adds her sister Francine. The duo envisioned a furniture-shopping experience far-removed from anything standoffish. “We wanted people to truly experience the furniture, to see it, to touch it, to feel it,” says Francesca. But after the initial gathering of furniture in the old Mozaic Living showroom, the siblings agreed it looked more like a warehouse. “It didn’t feel like it had much soul to it,” Francesca adds. 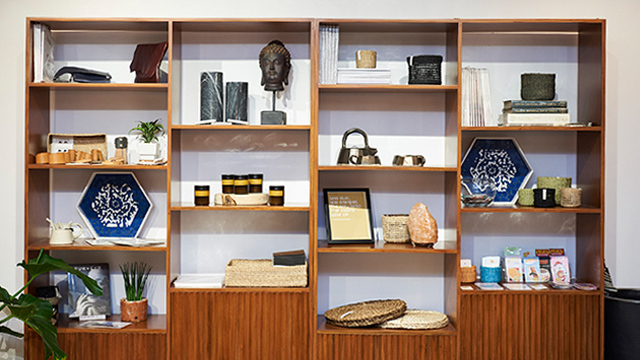 Around the showroom, there are shelves of pottery—both glazed and unglazed—adjacent baskets and throw pillows, string bags and crystals and a slew of other goods, each bearing the mark of well-made and locally sourced craft. Francesca calls this “the second aspect of Artesania,” hoping to create what she calls a cross-pollination between their furniture shop and the merchandise crafted by the talents of local creatives, and build a larger audience for all parties concerned. “We make sure to target partners that are up-and-coming,” Francine says. “We always tell them, ‘We won’t charge you rental for the space. We just want to be your platform.’” The arrangement underscores Artesania’s support for the local furniture industry. Across the room there are pieces like a variety of designer chairs, a cozy bed in one corner complemented by a bedside table and full beddings and even a shower in the restroom. Almost everything is available to buy. Customers can experience the furniture as they sit around and maybe grab a bite and a sip of coffee. “In the end, hopefully you envision the furniture in your home or office,” Francesca adds. Since Artesania is vertically integrated—it sells pieces manufactured in a factory that they also own located in Angono, Rizal—the items in the showroom are samples of capability and not a full catalogue. As such, the company has been tasked with putting furniture together for plenty of corporate clients in addition to residential buyers. 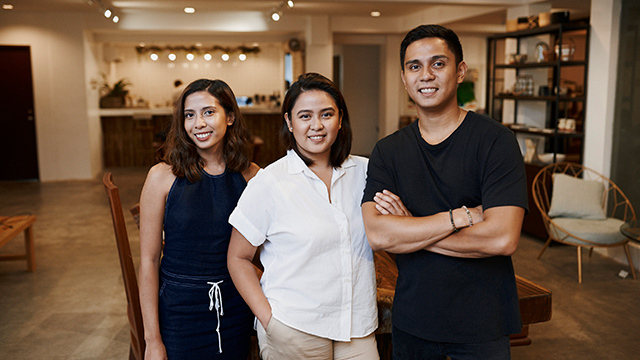 The siblings have delivered orders for a growing list of corporations, including Grupo Santamaria, Century Properties and Uniqlo, just to name a few. Artesania even supplied furniture for the Cultural Center of the Philippines during the ASEAN Summit that was attended by world leaders and dignitaries last year. Francesca recalls scrambling around and arranging re-varnished stools for translators, and was even tasked to design and install fabric to obscure the side view of US President Donald Trump, which was done for security reasons. Needless to say, the bespoke furniture-maker holds fast to its being bespoke, catering to every client’s need at both price point and design preferences. One other guiding principle the company stands for is its commitment to both the environment and its craftsmen, maintaining sustainability and apprenticeship programs, respectively. It’s Artesania’s way to help keep the Philippine furniture industry alive for future generations. A third aspect of Artesania is its café, which is headed by Chef Arvin Gacrama. Caffeined’s menu includes Chef Arvin’s take on multiple cuisines. 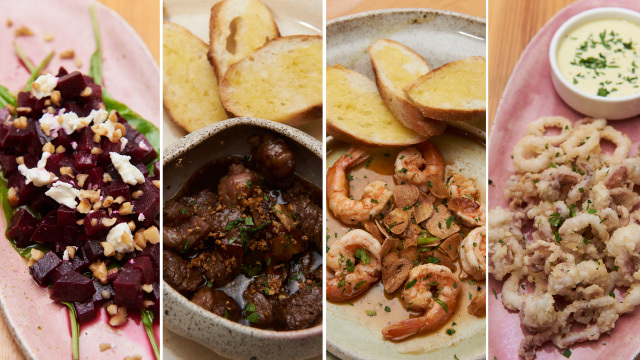 There’s Beetroot Salad with Arugula, Walnuts, and a crumbling of Feta Cheese; Garlicky Shrimp Gambas; and a delectable Mushroom Soup. The café serves locally grown and roasted coffee provided by Kalsada and serves it in mugs handcrafted by Mia Casal. It pairs well with locally sourced deserts, of which the Guava Cake makes a strong impression. 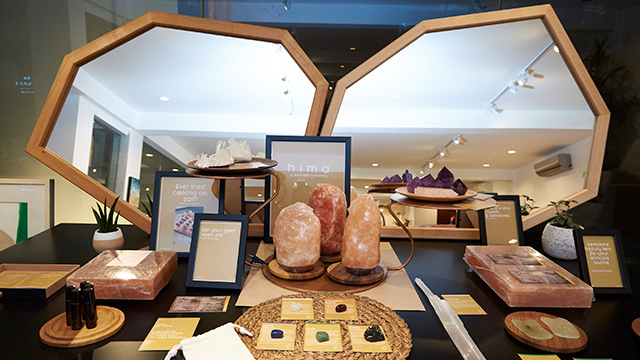 After tracing the three aspects of the business, the trio gushes over plans to make use of the taso or the excess wood and shavings, conceptualizing a self-furnishing line targeted to solve a variety of home needs. From umbrella holders to dustpans, the team is working with local artisans and local materials like coconut fibers to find solutions to household chore-centered problems. They’re also hoping to make a kid’s line at some point. Artesania has also become a popular site for pre-nuptial photo shoots, which just proves further how flexible it is and how much more it can offer beyond what clients see in its showroom. More than being sold something, customers are reminded of artistry and craftsmanship in every chair, table, mug or cup of coffee each time they make their way up through the amber-copper pillars of its front door.